If you have hydrogen peroxide in your home, chances are it’s in your first aid kit. And that’s a shame, really. For one, applying peroxide to cuts and scrapes really isn’t the best way to go about repairing your skin — it actually does more harm than good! For another, hydrogen peroxide has a number of fantastic uses outside of first aid. As a tough, nontoxic chemical, the stuff works wonders in your home. And it’s cheap, too! Read on to learn several surprising ways to use hydrogen peroxide. Note: All of these tips and tricks call for the 3% concentration of hydrogen peroxide, the percentage you’d typically find in your first aid kit or at your pharmacy. 1. 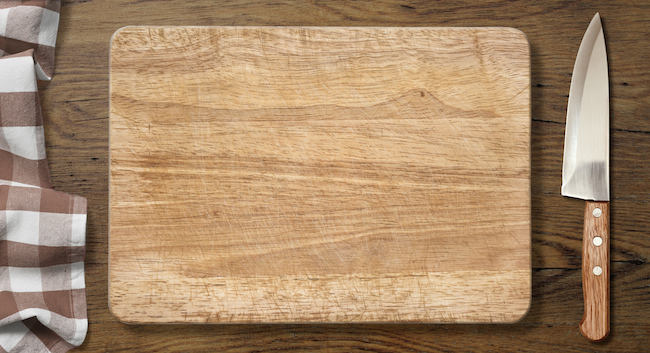 Clean Your Wooden Cutting Board. An improperly cleaned cutting board is a breeding ground for bacteria. Clean it thoroughly, without harsh chemicals, with hydrogen peroxide and vinegar. 2. Grow Mushrooms in the Fridge. It’s true! With the help of hydrogen peroxide, you can grow oyster mushrooms in a freezer bag in your fridge. For detailed instructions, click here. 8. Stained Tiles & Stone Countertops. No matter what the culprit was, hydrogen peroxide works wonders on removing stains from stone and tile. Combine it with flour to create a thick paste and apply to the stain. Let it sit overnight covered in plastic wrap. Carefully remove in the morning. 9. Whiten Nails. Who needs a French manicure when you can make your nails shine with a little hydrogen peroxide? Click here for instructions. 10. Get Rid of a Cold. It might sound a little strange, but putting a few drops of hydrogen peroxide into each of your ears every morning can help you beat a cold. Read more about this method here. 11. Use as a Mouthwash. Dilute in water (the mixture should be about half water-half hydrogen peroxide) and use as a mouthwash, being very careful not to swallow any of the stuff. It’ll kill germs & whiten your teeth. Some experts even think it helps alleviate toothaches and canker sores! 12. Disinfect Countertops. Hydrogen peroxide is great for keeping your countertops clean and safe. Spray onto counters, let it sit, and wipe clean. 13. Clean Toilet Bowls. Easy: just pour the stuff into the bowl and let it soak for about 20-30 minutes before scrubbing clean. 14. Clean Out the Fridge. Non-toxic hydrogen peroxide is an ideal cleaning tool for your fridge. Apply, let it soak, and wipe clean. You can also do this with dishwashers. 15. Clean up Mold. Hydrogen peroxide works wonders on pesky mold — even the U.S. Department of Housing and Urban Development agrees! 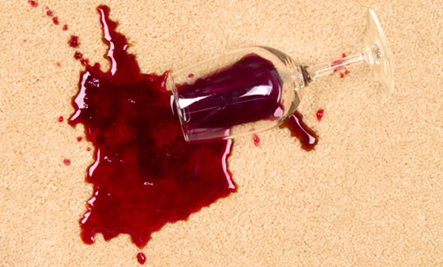 Sorry, but you can't remove the brown stains left from applying hydrogen peroxide to blood stains. Use table salt instead.